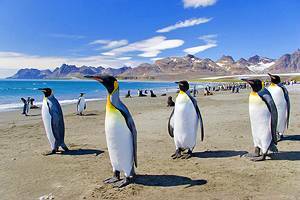 The main attraction of the Falkland Islands is wildlife watching with many birds and marine mammals to view. Flying fishing and horse trekking are two of the most popular sporting activities with hiking, climbing, sea kayaking, and mountain biking for the more adventuresome traveler. Falklanders are hospitable, welcoming people interested in sharing island life with visitors.